This palm sugar is a natural sweetener, made from palm sap, which is the sugary fluid of the coconut tree. This product is obtained by a natural 2 step process. The first is a cut made on the flower of the coconut palm and the liquid sap is collected into bamboo containers and after that it is boiled until the water has evaporated. Natural, free from chemical additives. 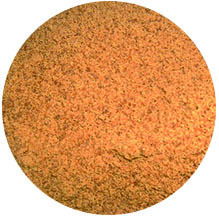 Coconut sugar retain nutrients found in the coconut palm. Contains minerals like: Iron, Zinc, Calcium, Potassium along with some fatty acids, polyphenols and antioxidants. Contain a fibre called Inulin, which may slow glucose absorption. It can be use as any replacement for cane Sugar.